Home News THIRD FRONT ON THE SCREEN..
THIRD FRONT ON THE SCREEN.. The Bharatiya Janata Party is in the political league. Its continuous jeeps began in 2014. Of the 29 states, 21 states have taken the BJP. The BJP, which is the Congress party Mukth Bharat, has now sunk in the Northeastern states. Now it is the only south Indian state with Odisha and West Bengal. At present Congress has only the Punjab, Karnataka and Mizoram states. There are only four states in West Bengal, Odisha, Delhi, Telangana and Kerala regional parties. In the next election, crazy things are going to be made in Karnataka, West Bengal and Odisha. 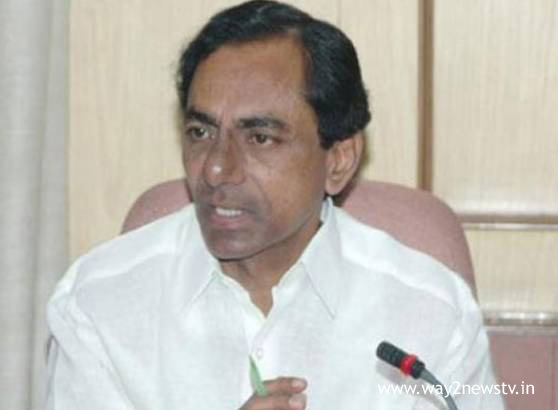 The statement on Telangana CM's third alliance has become a sensation. There is a need for new power at the national level behind the Congress and the BJP. Analysts added that the change in the country is essential. If the steps towards the third front, he said that he will lead it. There is also a climate of friendly in relation to the Telugu states. If they break up in the course of the battle between BJP-TDP, the TDP is more likely to opt for the Third Front. On the other hand, Naveen Patnaik is not in favor of BJP in Odisha. However, the question is whether to come up with a KCR who is thinking of establishing an alternative power system across the country. Left parties, West Bengal Chief Minister Mamatah Banerjee, DMK leader Stalin from Tamil Nadu, Mulayam-Akhilesh, Mayawati and Bihar in Lalu and so forth ... KCR has already started initiating efforts to go all out with the political parties. The BJP is keen to win the victory in both the states . He was bombarded with the possibility of a Third Front. The strength of the BJP is up till yesterday. Confidence has increased even more now. On the other hand, there is no loss to Modi who does not give support to the NDA alliance. At that time, KCR was meeting with a media conference and targeting Modi too. In fact, a few days ago, The BJP made nuisance call the Prime Minister Modi with one voice. Defense Minister Nirmala Sitharaman responded to this. KCR once again brought to the screen the controversy that has been done so far. Modi was indirectly criticizing the BJP. The BJP seems to be a bad thing with overly confident self confident. Millions of people have suffered in the special status of the AP and have been sympathetic towards AP. If the country wants its leadership, it should be indicated. Kavitha, KTR and Harish are the names of the party candidates in the next election. The campaign is also going to go to KCR. KCR was unresponsive to the third alliance. There is a positive trend with the AP .. If you need it, it will be signed with Chandrababu. Actually .. Third Alliance .. Long time back AP CM Chandrababu Naidu referenced. The campaign is also likely to lead him to this. At the same time, another Chandrudu has come up with the claim that Telugu politics will influence national politics very much. In this calculation, beyond the north, the regional parties that are in the south have come up with the signal of the KCR.